Sharm El-Sheikh is a city in Egypt that contains a smaller coastal town of Dahab and Nuweiba. It is the administrative center of Egypt’s South Sinai Governorate. It has a population of 73000 people. 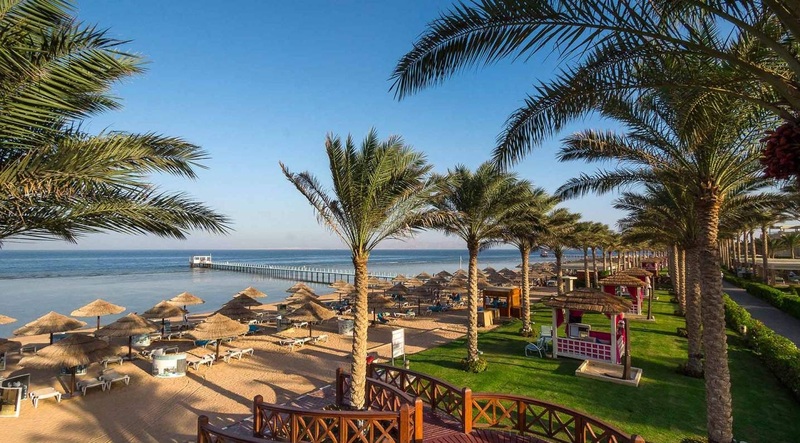 It is considered a holiday resort that means a lot to tourism in Egypt where you can visit during your Egypt tours packages. It is sometimes called “The City of Peace” which means that the city has special qualifications, which make it the first touristic destination choice for those who seek relaxation and peace. It is on a promontory that overlooks the Straits of Tiran at the mouth of the Gulf of Aqaba. It is in the South of Sinai Peninsula on the coast of the Red Sea. Sharm El-Sheikh climate, it experiences a subtropical climate. Its typical temperatures range from 18 to 23°C. It has the warmest winter night temperature of resorts and cities in Egypt. Its history has begun in Jabal Musa where Musa have climbed the mountain and received two tablets, which include his ten commandments. By 639 AD, the Arabs had conquered Sinai and Sharm El- Sheikh came under the rule of the Ottoman Empire. Israelis were the first to turn this fishing village into an incredible touristic destination during 1967. After it had become part of Egypt again in 1982, the Egyptians expanded what the Israelis started and developed the touristic site. It began as a port. It had only one military port but in the middle of 1980, a civilian port started to be developed. Why people all around the world love visiting Sharm El-Sheikh!! The biggest reason for this is that the nightlife of it is developed, impressive, and modern. The number of the international hotels and restaurants in Sharm El-Sheikh is huge. There is also a National Park that protects all kinds of wildlife animals and attracts tourists to enjoy breathtaking trips in Egypt. Snorkeling in the Blue Hole: It consists moving along the coral walls surrounding the sinkhole, where you find butterfly fish, Thousands of sea Goldie take shelter around the coral, surgeonfish and some Red sea bannerfish. Riding a Camel Safari: Sharm is the best place to have a camel riding experience in the desert along the Gulf of Aqaba. Quad Runner Bike Adventure: It’s your best chance to fly through the sand dunes and enjoy the sunrise and the sunset and discover the beautiful area in the desert. Scuba Diving: Diving is an amazing adventure in Sharm, which is a swimming sport underwater with special equipment. It is interesting for both experts and beginners. Panoramic submarine adventure: That is a magical activity to discover the world below without getting wet. Sharm El-Sheikh is the best place to go Scuba diving in because of its beautiful attractions beneath the water. Mount Sinai Climbing: You have to go mountain climbing to get stunning views over Sinai desert and to get a whole tour of the place where Musa got his 10 commendations. The Blue Hole: It is located in the north (4 miles) of the city of Dahab. It is not only a dive site but also it is the most dangerous diving spots in the world. St Catherine’s Monastery: It was built between 548 and 565 by the order of Emperor Justinian I. It is the oldest Christian monasteries in the world. The Colored Canyon: It represents one of the most magical formations of rocks in the world. They vary from sandstone to limestone. Ras Muhamed National Park: It is a national park in Egypt. It is located 12 km from the city of Sharm El-Sheikh. It includes two main islands: Tiran and Sanafir. Mount Sinai: It is considered a holy site by Abrahamic religions. It is mentioned in the books of Exodus, Bible, and Holy Quran. It is the place where Moses receives the Ten Commandments. Naama Bay: It is a natural Bay resort that is considered the main hub for tourists. Red Sea Riviera: It is an eastern coastline along the Red Sea. It contains some resort cities of the western shore of the Gulf of Aqaba.